"I think my nose hairs are frozen." We were trying to locate the correct entrance to the Olympic Center in town to meet our guide, Jon Lundin, for a quick tour of the place. 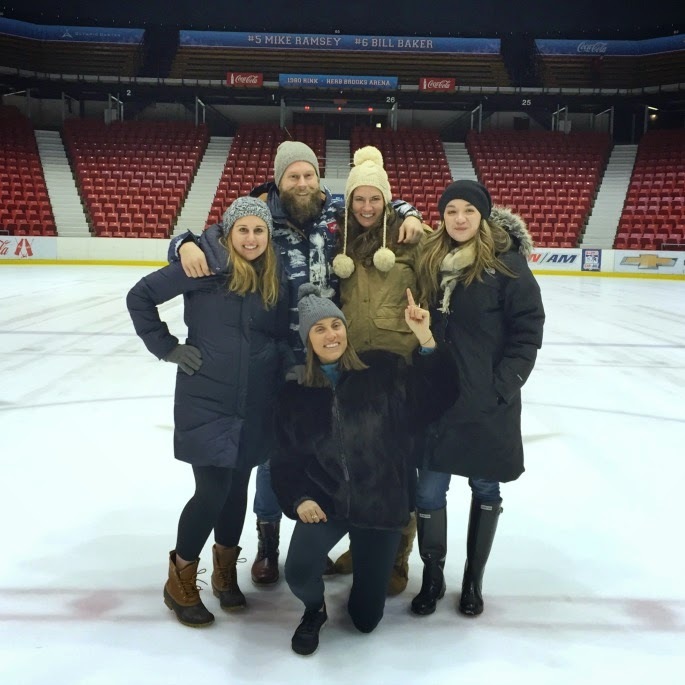 We eventually succeeded, and had the rather incredible opportunity to stand on center ice where the famed 'Miracle On Ice' took place exactly 35 years ago—but not before we spent a bone-chilling 15 minutes outside looking for our destination. Desperation. Exasperation. Sharp exchanges of words brought out of frustration. Thoughts of, "Should we just go back??" All of this because we had a bit of trouble finding a door. 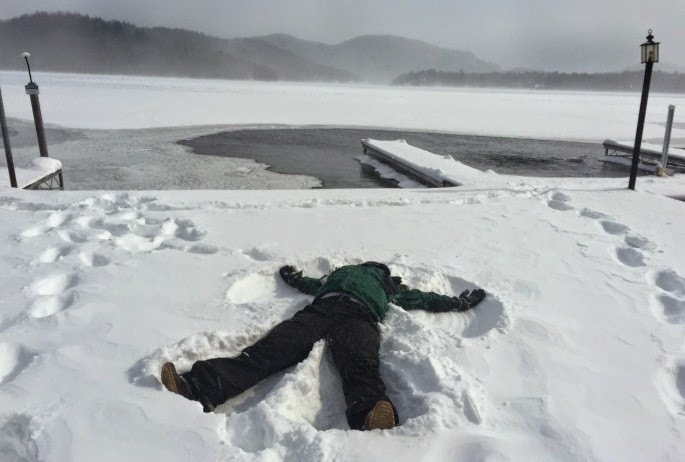 The cold of February in Lake Placid is the kind that doesn't just get through your layers of long underwear and prickle your skin—it permeates your muscles, pumps through your veins and puts a vice grip on your bones. Every thought you have seems to get coated in icicles as soon as it leaves your brain. That said, I don't think we could have enjoyed ourselves more if we tried. Temperatures barely crept above zero degrees the entire weekend (keeping the "feels like" temperature somewhere around -20 most days and -35 at night), but between the fabulous skiing, two cases of red wine, lingering dinners followed by epic rounds of Cards against Humanity and Kings Cup, Olympic activities and sheer determination—we made the most of New York's most frigid (and incredibly fun) winter playground. 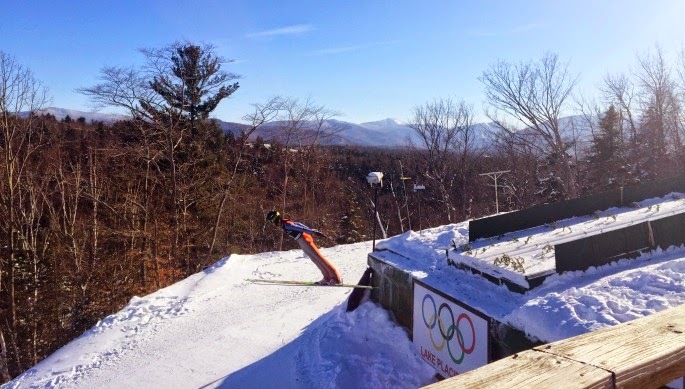 TRANSPORTATION: The drive up to Lake Placid is gorgeous and on par with most of Southern Vermont's ski areas as far as distance and time—it takes about 5 hours from New York City. We stopped in the picturesque town of Saratoga Springs for lunch on the way, which breaks up the drive nicely. 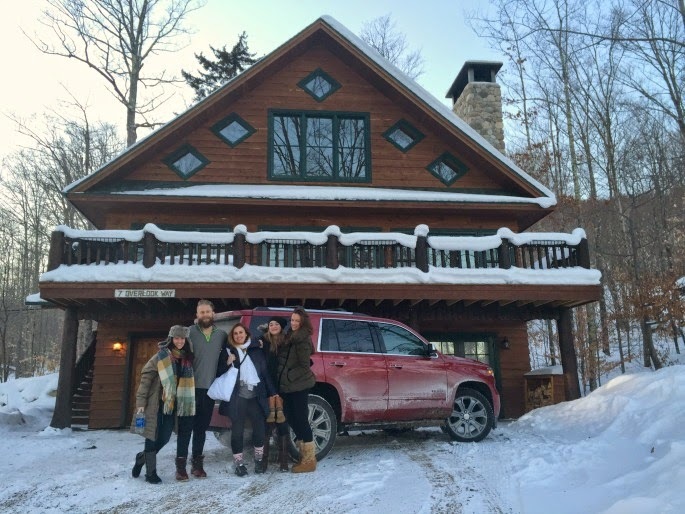 *A Chevy Tahoe was generously provided via GM's Drive the District program to make the trip. 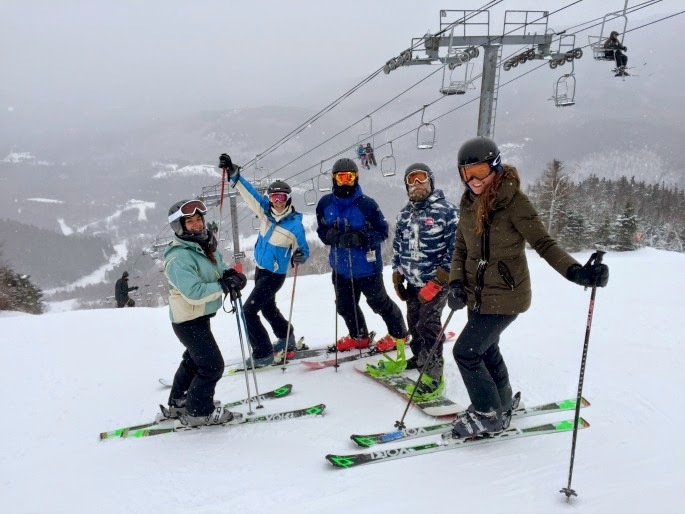 IF YOU SKI/BOARD: Out here in the East, you'll be hard-pressed to find a better, more technical mountain than Whiteface. Get out early (lifts start running at 8:30 a.m.) and start your day on The Wilmington Trail, a stunning, secluded and spectacular 2.5 mile run that's off to the far left side of the mountain. (Thanks for the tip, Jon!) 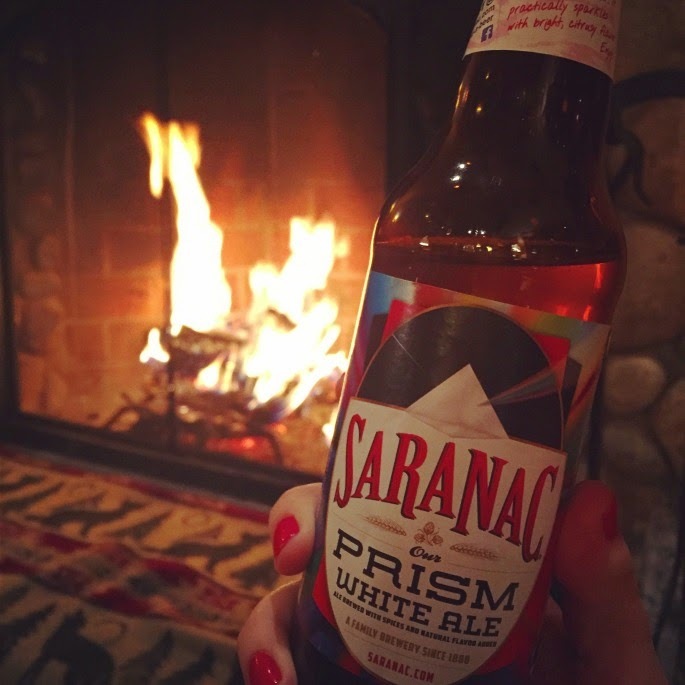 Have lunch at Boule's Bistro on mid-mountain and warm up with a local Saranac beer before spending your afternoon exploring the black diamond runs that trickle down from the summit of Little Whiteface—and burning off those beers! As far as renting equipment, you'll probably be fine anywhere you go if it's a regular weekend. Since we were there over President's Day weekend, it was a bit of a slog, but ultimately fine and very reasonably priced. 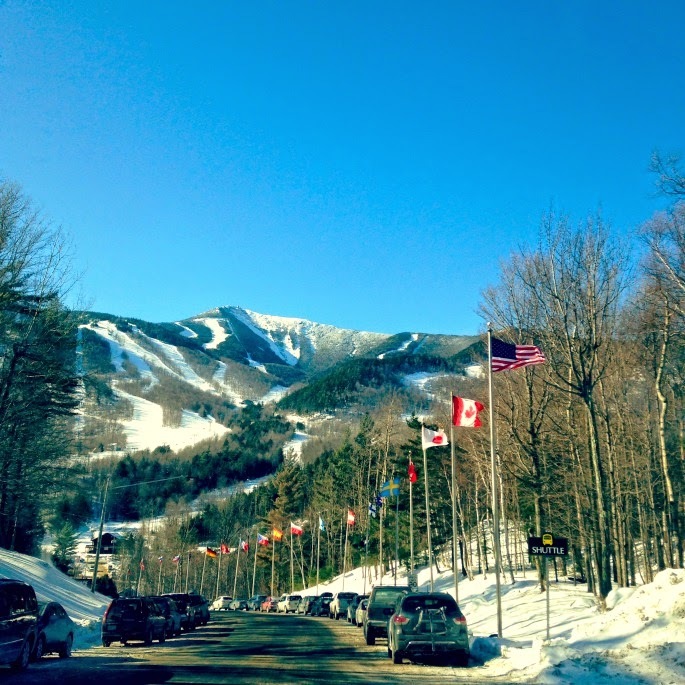 I rented from Lake Placid Ski & Board on Main Street, while many in our group rented at the bottom of the mountain. 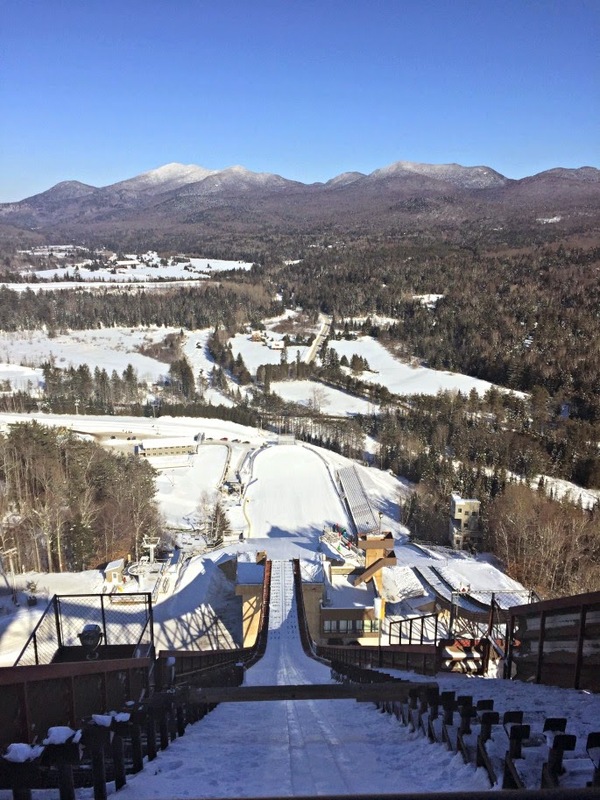 FOR A LITTLE THRILL: For some old school fun (and a some mild terror, depending on who you are) don't miss the Lake Placid Toboggan Chute. 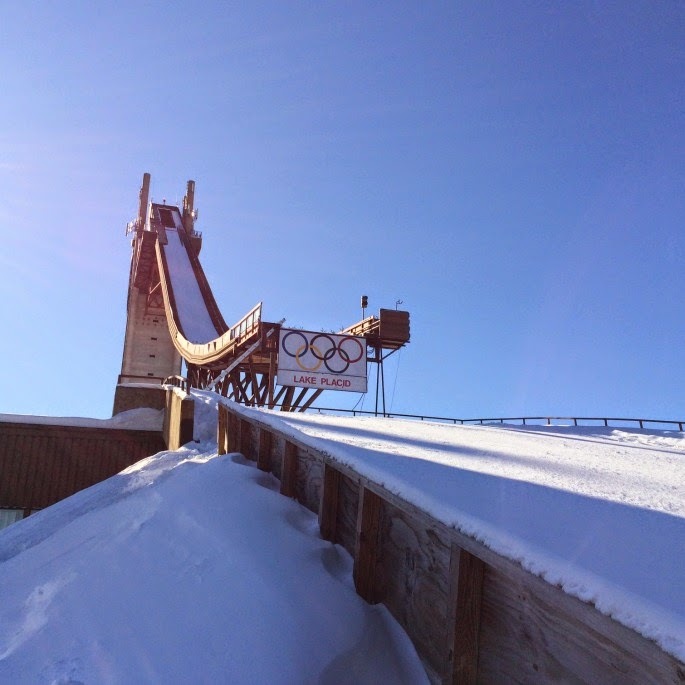 In operation since the 1960s, this 30' converted ski jump trestle (leftover from the 1932 Olympics, I might add) sends vintage-looking, cushionless wooden toboggans loaded with screaming children and adults flying down an icy slide and sailing out onto frozen Mirror Lake below like bat out of hell. 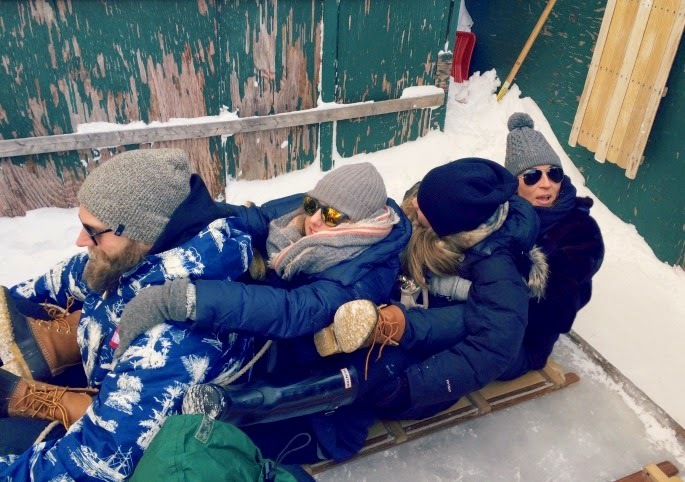 It's just $10 per person (to go as many times as you like), and you can fit 2-4 per toboggan. Each rider must wrap their arms and legs around the person in front of them, lest any part of your body hit the sides of the slide and send you careening off-course. My advice? Swallow your fear (mine jumped into my throat and nearly caused me to throw up on the spot) and dress warmer than you ever have before in your life. Waiting in line (which involves slowly climbing a ramp adjacent to the slide and watching everyone shriek and woosh by) when it's -10 degrees will give you major frostbite feels—especially in your feet. *Shoutout to Jon for telling us about this, we would have never known this little slice of retro danger existed and it was one of the most memorable experiences of our trip. 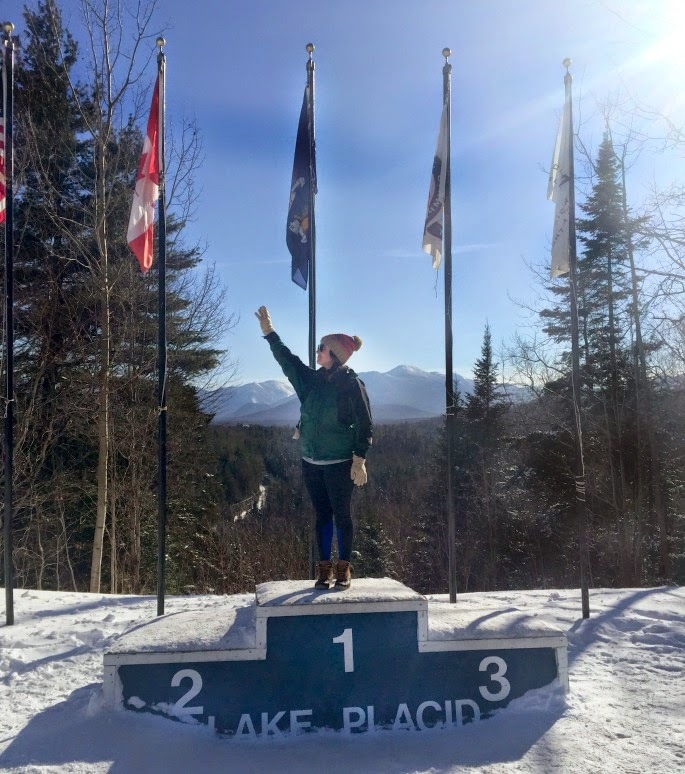 IF YOU WANT TO BE AN OLYMPIAN: Call ahead to the Olympic Sports Complex and make reservations for activities like the bobsled, skeleton and luge runs. You may have to show up in person to get your name on the list as well, but it's well worth the 15 minute drive from town to do so. (To be fair, we were there during the 35th Anniversary of the 1980 Olympics and a holiday weekend so things booked quickly, but you'd do well to call ahead either way.) 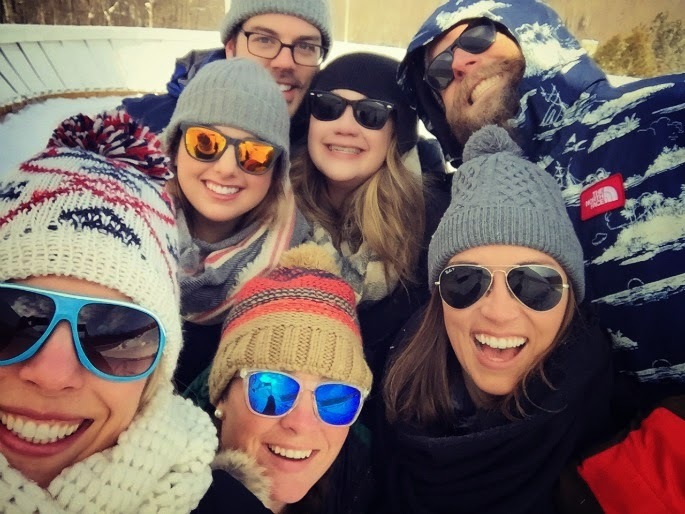 Even though we couldn't participate, we did hang out and watch people do the bobsled run a few times, which was actually quite fun and terrifying if not slightly envy-inducing. 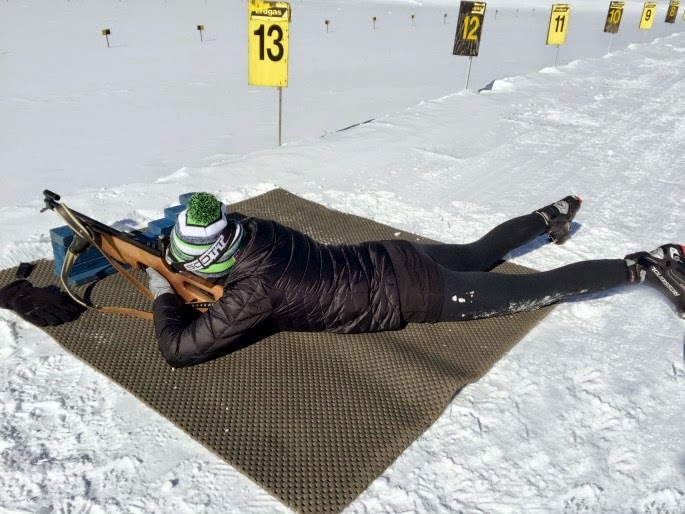 IF YOU WANT TO BE A DIFFERENT KIND OF OLYMPIAN: As a big fan of cross-country skiing, I was most excited for the opportunity to "Be A Biathlete" at the Olympic Sports Complex. 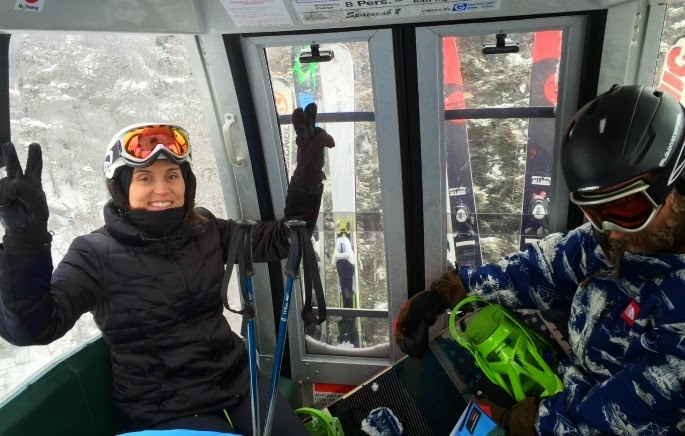 Since I already knew how to classic ski, I signed up to take a lesson in skate skiing. 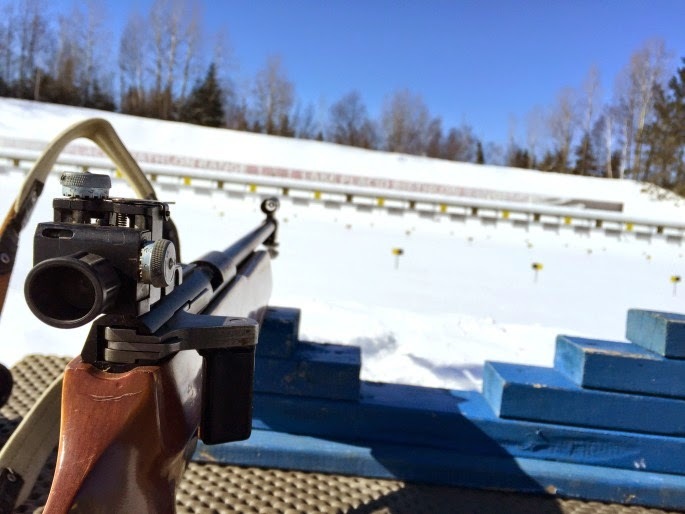 After learning the basics and then practicing going up and down hills, my instructor Ken dropped me off at the shooting range to try my hand at the second part of the biathlon—firing a .22 caliber rifle at 10 very small targets. I loved this whole thing, despite the fact that it was a balmy -8 with a "real feel" of -29 degrees out. I am now hooked on skate skiing and discovered that I'm a pretty good shot! 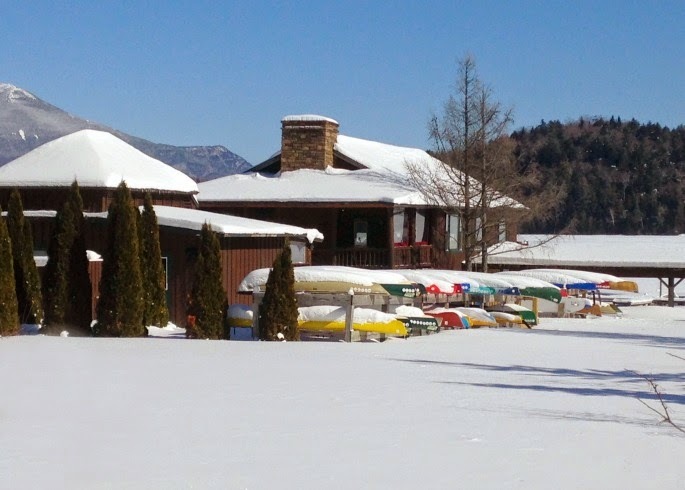 One of the things I liked best about Lake Placid is that it is a place that feels stuck in time—in the best way. 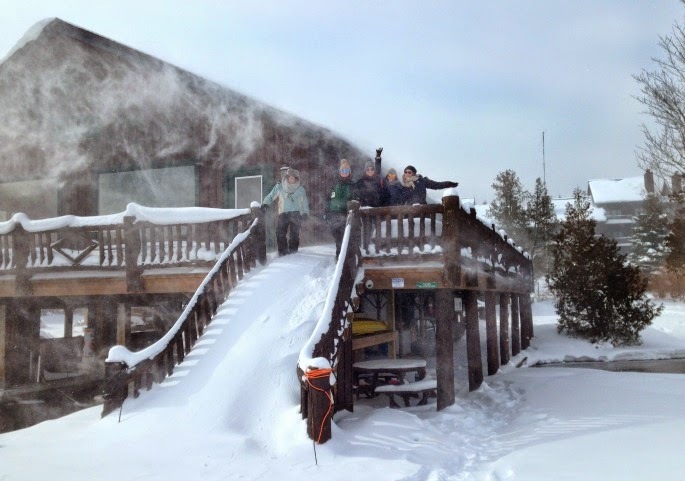 Residents are proud of their town's past and embrace winter with an almost unbelievable zeal. Their well-founded obsession with the Olympic Games they hosted all those years ago (1932 and 1980) makes everything you do feel like it's been touched by history. Day and night, everything is incredibly picturesque. 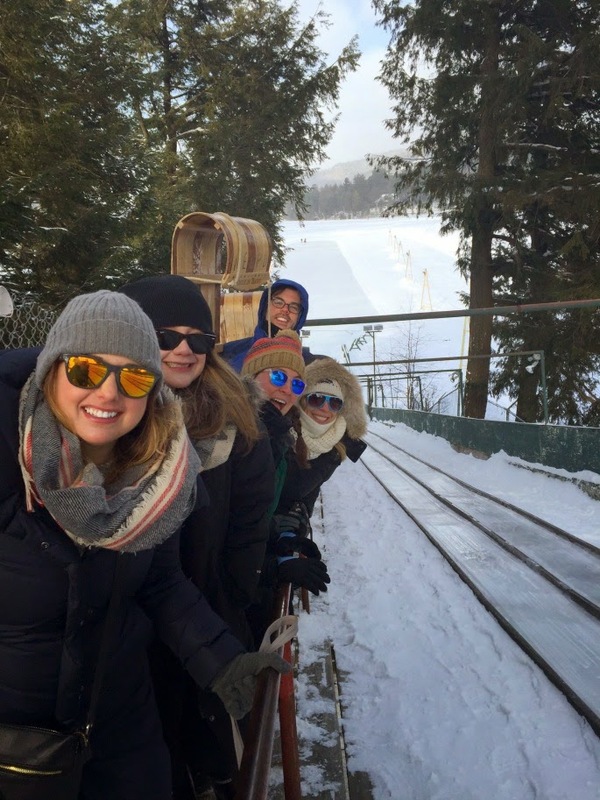 The toboggan chute experience felt like we were living in A Christmas Story. Bakeries and restaurants use puns liberally and with much relish (Miracle on Icing; Cake Placid). 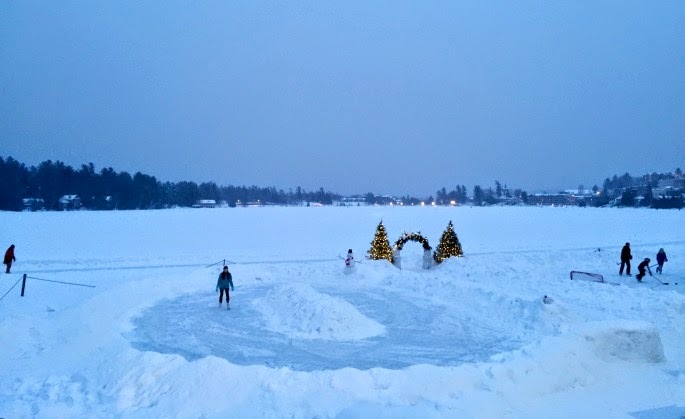 In the evenings, kids play pick-up hockey on Mirror Lake and skate circles on homemade ice rinks. It's like something out of an illustrated children's book. 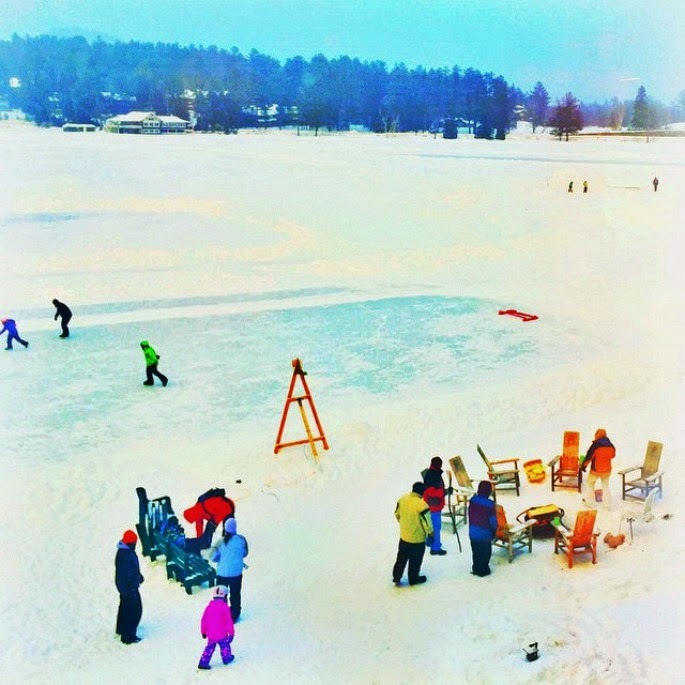 The genuine, earnest and laid-back vibe of Lake Placid only adds to its charm. I'd gladly freeze myself like a human popsicle just to do it all again. 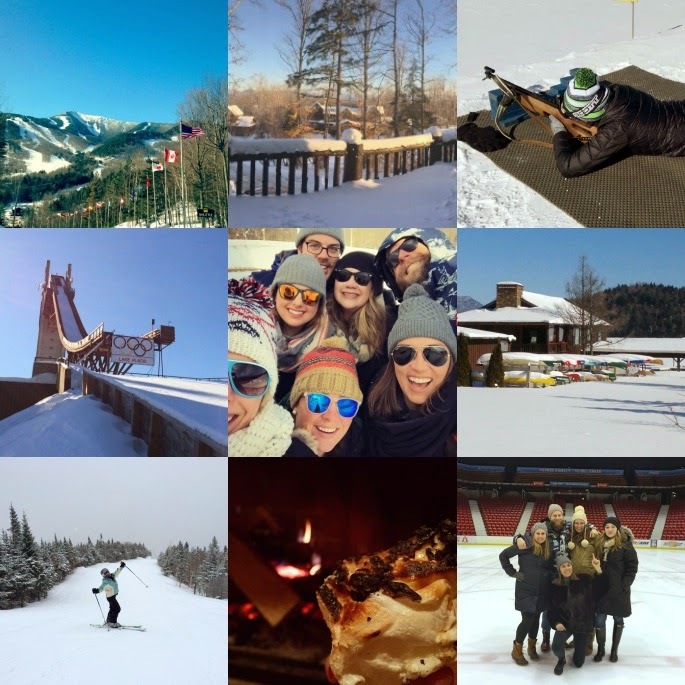 Big thanks: I owe a huge thanks to Jon Lundin of the Olympic Regional Development Authority for hooking me up with lift tickets, Olympic Sites Passports, our Miracle on Ice tour as well as the many other invaluable tips!